In the past, if manufacturers elected to move up or downmarket, they would create a new sub-brand to market the vehicles. 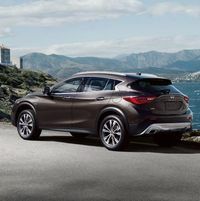 BMW launched MINI when it wanted to move downmarket and Honda, Nissan and Toyota respectively breathed life into Acura, Infiniti and Lexus to market their luxury products. Conjuring up a new vehicle marque and promoting it is a fiercely expensive process and one that has fallen out of favour. Manufacturers now prefer to stretch the boundaries of what their established brands represent to setting up sub-brands if they decide to move out of their traditional market segments. In addition, some specialist vehicles from mainstream manufactures, are priced sufficiently above traditional vehicle categories that they must be placed into a category that reflects their unusual nature. To track this trend and move with the times, the APA created a new Premium Compact category several years ago and continues with it for 2018. A number of cars and crossovers in this new category don't really fit into the sections other vehicles bearing the same brand name are generally found in, and so are in this Premium Compact section. 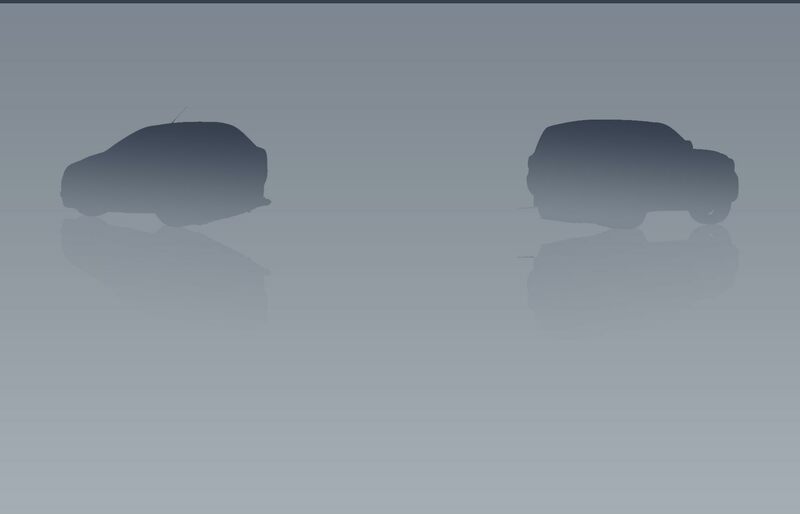 Vehicles covered within in the envelope of Premium Compact category include B-Class, CLA and GLA from Mercedes-Benz, the A3 and Q3 from Audi, all five of which represent a move downmarket by their makers. Also Included in this section is the QX30 from Infiniti, which is based on the same platform as the Mercedes B-Class, CLA and GLA. 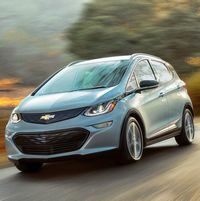 Occupying this category as well are cars from MINI, which are premium priced, and the Chevrolet Bolt, Volt and Nissan Leaf, which are priced far higher than conventional cars for the same size. Another car covered in this section is the Acura ILX. Based on the previous-generation Honda Civic, the seven year old ILX is overdue for replacement. Power stems from two turbocharged gasoline engines, a 2L with 186 horsepower and a 2L producing 220 horsepower in the A3 and 293 horsepower in the S3. The base 2L is front-wheel drive only, with Quattro all-wheel drive featured twinned with the 220 and 293 horsepower engines. A seven-speed automated manual is standard on front-wheel drive variants with a six-speed automated manual mated to Quattro versions. Delayed 2018 model. A heated steering that automatically switches on when it senses cold, is standard on the Premier and option on the LT trim for 2018. The electric motor of the Bold is very strong and delivers vivid acceleration. Handling is very competent but not as precise as that of the Volkswagen e-Golf, but more satisfying than those of the Hyundai Ioniq and Kia Niro. The suspension is firm and can clunk loudly on poorly maintained roads. Steering has a reassuring heft. The tall hatchback body looks crisp and modern. Except for height, the Bolt is smaller is all dimensions than the Nissan Leaf but offers greater cabin and cargo space than the Nissan. The cabin of the Bolt is dominated by a sweeping dashboard with a large touch screen at its heart. The 2018 was late and then sold out. Finding a Bolt is the problem and if you do, there are no discounts. As of March 2018, the Bolt was sold out with dealers having received their full allocation for the model year. Production of the 2019 model begins mid-year with delivers not expected until August. If you want a Bolt, be prepared to wait for it. The new Driver Confidence package available on the LT includes BLIS with rear cross traffic and a rear park assist. The base 2LT model is well equipped and the 2LZ range topper is a good value upgrade if you like its equipment. Big rebates available from Ontario, Quebec and B.C. for this plug-in vehicle. Insufficient data. The previous model was reliable. The plug-in hybrid is the sole update for 2018. A 106 horsepower 1.6L four is the basis for the hybrid and plug-in hybrid. Total system horsepower for the hybrid is 139 and maximum electric-only range for the plug-in is 37 kilometres. The hybrid and the plug-in send power to the front wheels via a six-speed dual clutch automated manual transmission but the all-electric variant dispenses with a transmission altogether. The full electric version is powered by an 88 kW motor with a maximum possible range of 170 kilometres. The regular hybrid is not as quick as the plug-in hybrid or the full electric. The plug-in model can cover up the 37 km in full electric mode before the batteries are depleted. 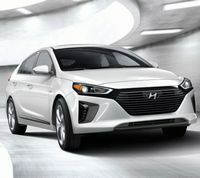 Ioniq hybrid: the Blue base model is reasonably affordable. Standard equipment includes heated seat, reverse coverage and Bluetooth. Despite equipment such as blind spot and rear cross traffic monitors, heated rear seat and steering wheel and Keyless Go, the SE model is overpriced. The Limited, with leather upholstery, adaptive cruise control with forward collision warning, pedestrian detection and self braking, is priced about $1000 too high. The Limited Tech package, with a sunroof, autonomous emergency braking, lane departure warning and lane keep assist and rear parking sonar, is great value. 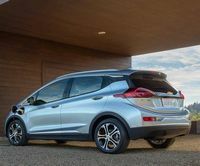 Plug-in hybrid: The plug-in hybrid went on sale in the fall of 2017, with the Limited trim upgrade being a bargain if you like its equipment. 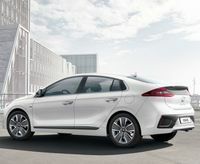 Ioniq electric: The base SE model, with blind spot and rear cross traffic monitors and navigation, is well equipped. The cold climate option includes a heat pump which enhances range but is very expensive. The range-topping Limited model is solid value and it is eligible for massive provincial rebates in Ontario, Quebec and British Columbia. No changes of note for this slow-selling crossover for 2018. Bizarrely vast model range for such a small volume car. Very nicely equipped base model with Nappa leather and memory seats. All-wheel drive is offered only on the Sport trim where it is a $2500 option. The Premium package on the base model is overpriced. 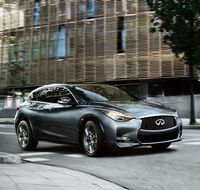 The Technology package, offered only on the all-wheel drive base model, contains a comprehensive array of active safety features, mandates the purchase of the Premium package. 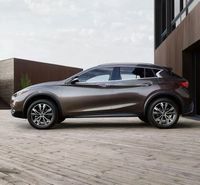 The Sport model includes the content of a Premium and Technology equipped QX30 AWD at a $500 premium, but lacks AWD, which is a $2500 option on the base model. Comparing similarly equipped versions of the Mercedes GLA and QX30, the QX30 is about $1000 cheaper and has a better powertrain warranty. Driver Attention Alert as well. 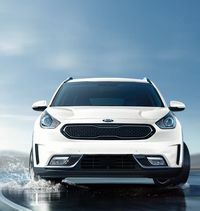 The Niro plug-in will go on sale during the 2018 model year. Though tidy enough and unlikely to offend, the exterior styling of the Niro is not the styling tour-de-force observers have come to expect from Kia. 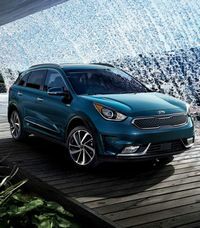 Design aside, the Niro s exterior envelope encloses a commodious cabin with good space for four adults and whatever chattel they choose to bring with them. Attractive instrumentation, practical controls and attractive materials make the Niro a good space to inhabit. The Niro went on sale in the spring winter of 2017. The nicely equipped base L model is priced at $26,895. Upgrading from the L to the EX is very good value if you like its additional features. The EX Premium upgrade is a bit overpriced for what it offers but the SX trim is an absolute bargain. No pricing for the plug-in version is available. 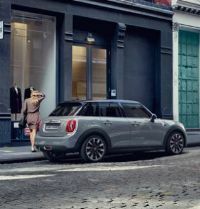 MINI altered its marketing focus for 2019 from a single trim with multiple packages and near endless customization to a more rational model lineup featuring Cooper, Classic, Premier and Premier+ trim levels with fewer available options. 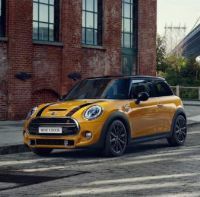 The basic Cooper trim is quite well equipped but it might not be easy to find as dealers will likely treat the Classic trim, equipped with a large format glass roof, heated seats and fog lights, a $2000 value for only $1300, as the defacto base model and order accordingly. The Premier trim upgrade, with features such as Keyless Go, auto dimming mirror, rain sense wipers and dual zone air-conditioning, is good value as well. The range-topping Premier+ includes equipment such as active L.E.D. headlamps and navigation, is overpriced and forces the addition of the $500 sport seat option, inflating the price beyond its value. Individual options such as leather upholstery and metallic paint are overpriced. The four-door Cooper is priced $1300 higher than its two-door equivalent. 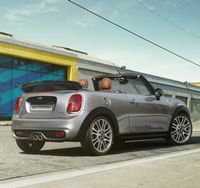 The Cooper S is priced $4300 more than the 1.5L triple, with the John Cooper Works variant priced $7500 higher than the S. The convertible body style costs $6600 more than a three-door of the same trim level.